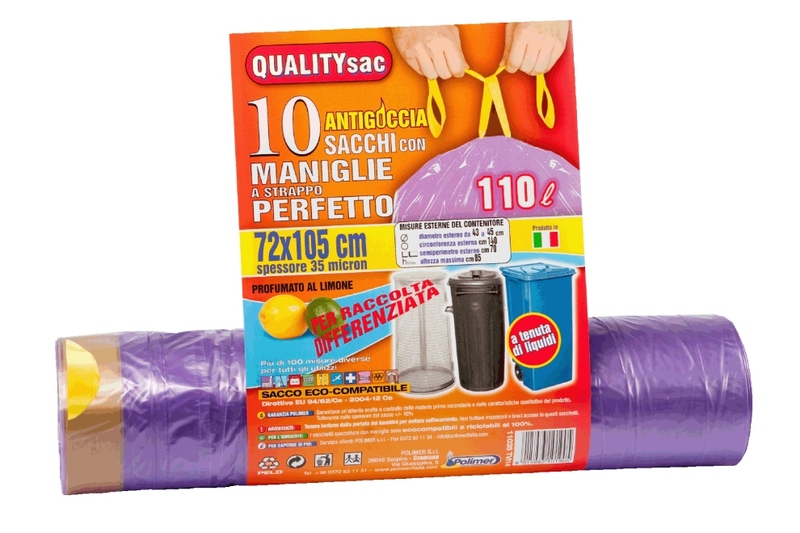 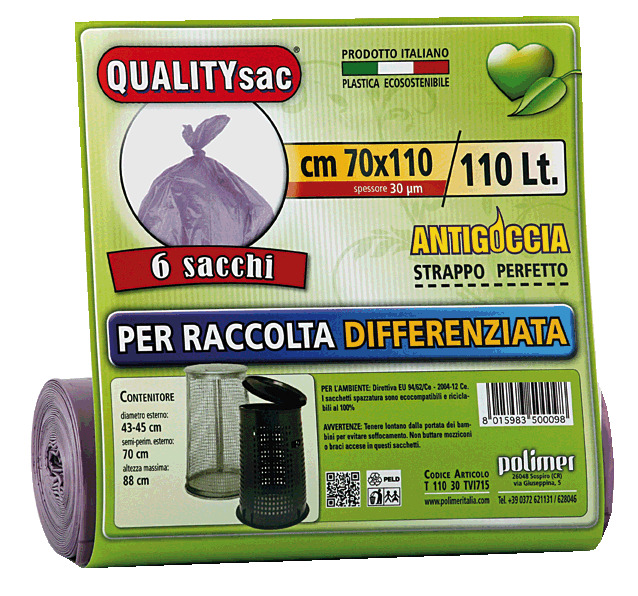 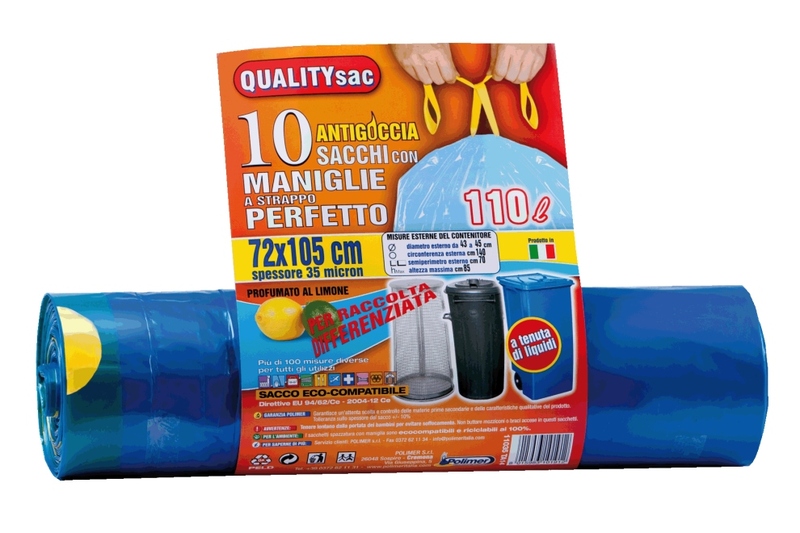 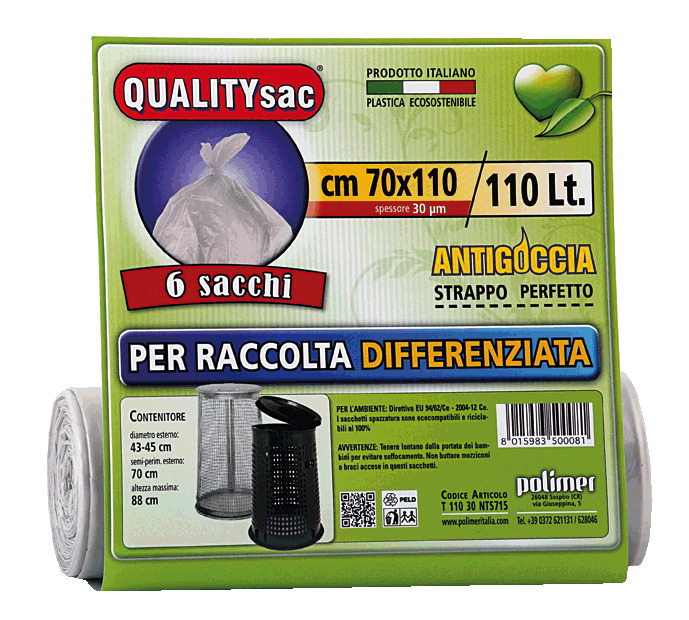 This line includes all kinds of refuse bags for separated waste collection, for each container size, from the big ones suitable for apartment houses to the smallest one for home use, with different thicknesses according to different uses, in different colours (transparent and transparent coloured that is violet-, yellow-, blue-transparent). 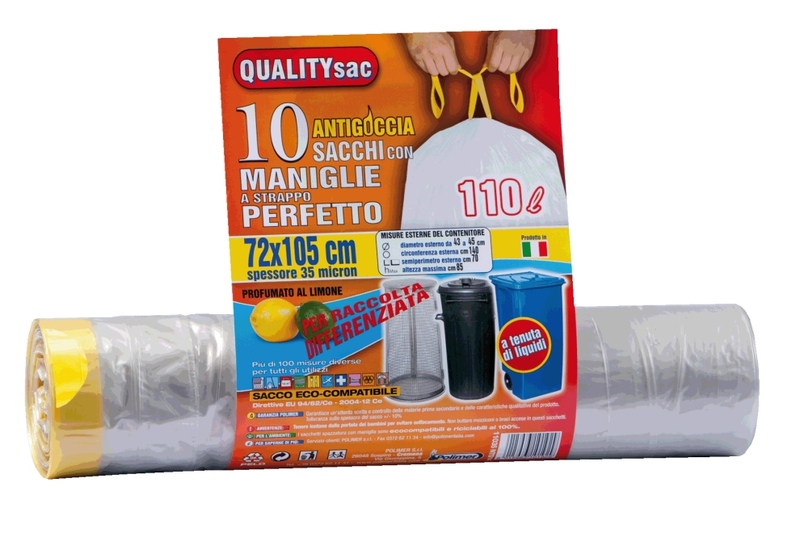 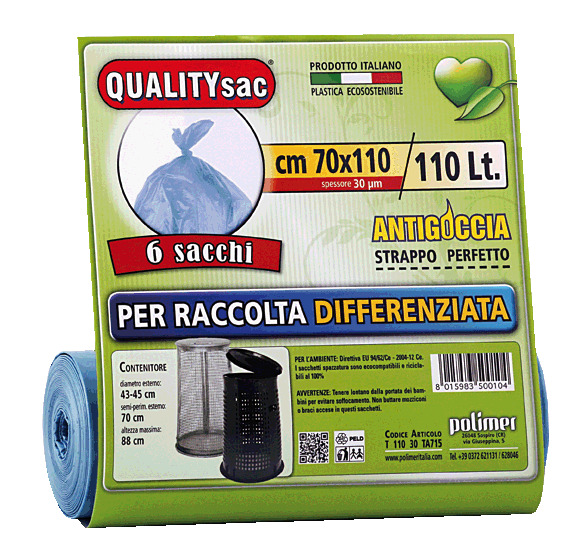 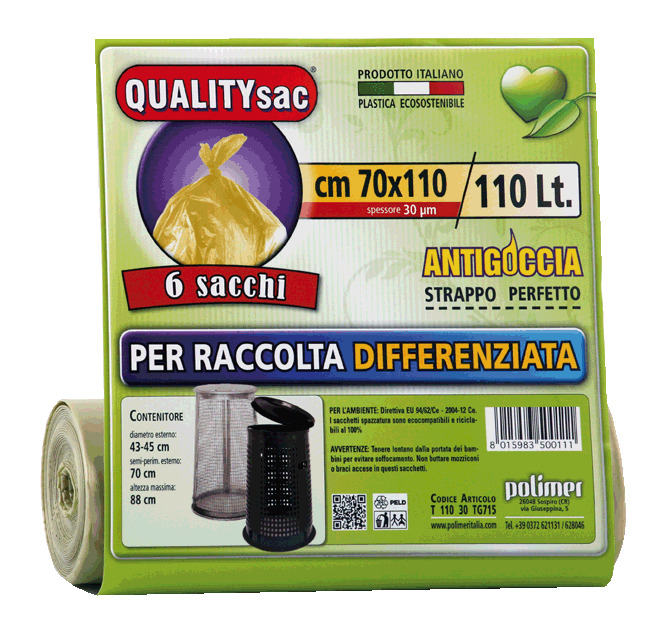 or bags witrhout drawtape, that can grant antileakage thanks to the side sealings and the perfect perforation. 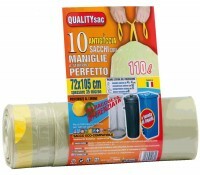 The whole range with and without drawtape is produced according to the current regulations in this branch. 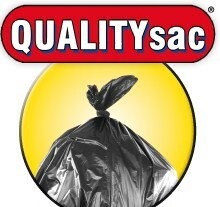 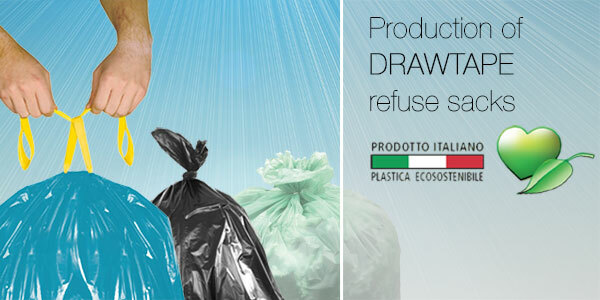 The bags can be used for separated collection of paper, plastic, aluminium and glas. 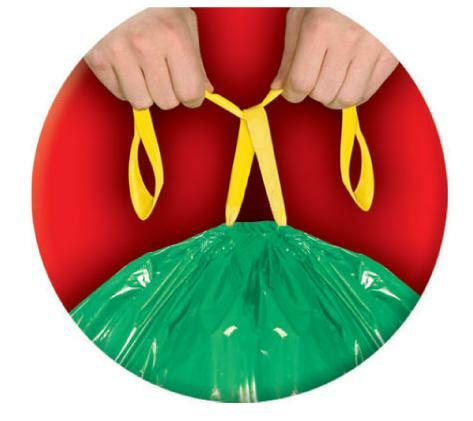 Different colours characterize the different nature of the waste you can collect and can be different according to each area rules.